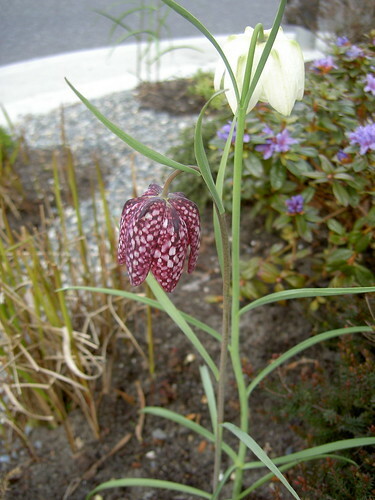 I can see why people call it the Snake’s Head Fritillary – its other name, the Leper Lily doesn’t sound as nice! Leper: a person suffering from leprosy. Leprosy: a contagious disease that affects the skin, mucous membranes, and nerves, causing discoloration and lumps on the skin and, in severe cases, disfigurement and deformities. Yup, I will call it Snake’s Head Fritillary.